The novel follows Lila, Elena and their peers through courtship, abuse, marriage, summers and work, and we see them now from two angles … from the thick of their lives in Naples, and from the refined distance of academia and college in Pisa. On the one hand Elena brings her Naples, her life, directly to the table whilst in the other she elevates herself to where we might like to think we sit … apart, better. Through her we circle the story as she shows us those forced to live with the unbearable while she strives through learning to achieve a purer life. This might suggest a clear cut support for one side over the other but Elena Ferrante never goes this way. Instead she gives us empathy and a sense of loss with writing so strong that it’s impossible to choose sides or to know what’s next. We’re taken deep into friendships, shown brutal truths and left with questions about ourselves. The two characters that attract the spotlight are Elena and Lila, but there is another that never leaves the pages: Naples. There are no long physical descriptions of the city instead we are taken straight to its heart, to its crowded core, and shown why it beats like it does. We see courage, pain, brilliance, ignorance, love and corruption as they entwine in the struggle for the heights of Vomero or the wealthy life of Chiaia. 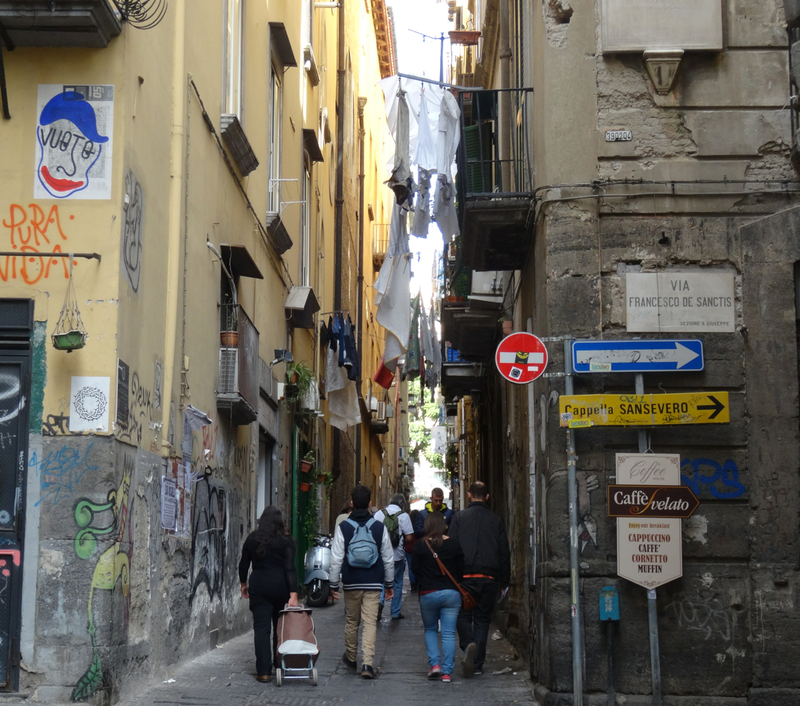 This is how Naples today still feels – restless, watchful, intense and alive. Book four in the series, The Story of the Lost Child, has just been published. 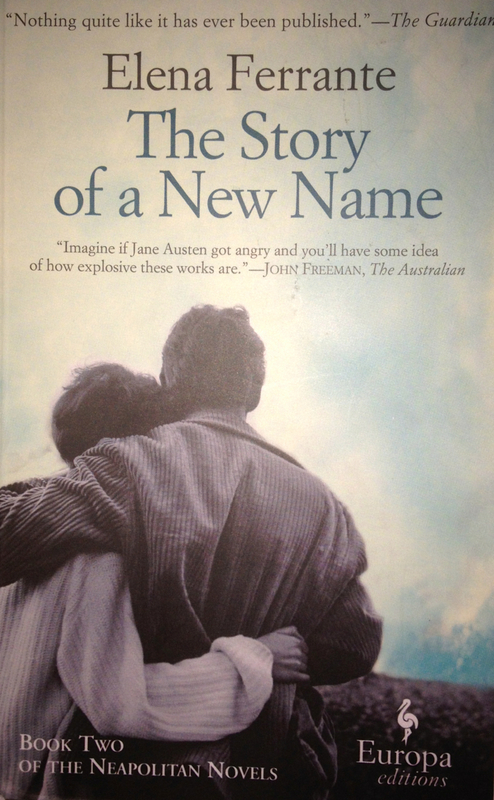 This entry was posted in Books, Books on Italy, Italy, Novels, Reviews and tagged Elena, Elena Ferrante, friendship, Lila, Naples, The Neapolitan Novels, writing. Bookmark the permalink. A look back (first published 24 September 2015): this book, the second of four, sustains the pace of the first – it’s a vivid read. Cant wait to read them! Brilliant! Know you won’t be disappointed especially if you combine the reading with a trip to Naples … we’re looking forward to that! This is turning out to be my favorite read of the year. I just finished it last night and cannot stop gushing about it! I loved the first two books and have just started the third. The first few pages of Book Three feel different … am looking forward to the rest! I have yet to start the second. I am so intrigued by Ferrante as a novelist. such a mystery! You’re in for a treat with book two. The mystery is part of the fun … and I think a wise idea as it seems to allow more freedom to go further. Already looking forward to book 2 now! Half way through Book 2 🙂 Loving it! 🙂 I agree – 24 hrs is too short!